Sermon preached on 1 Timothy 2:1-7 by Rev. 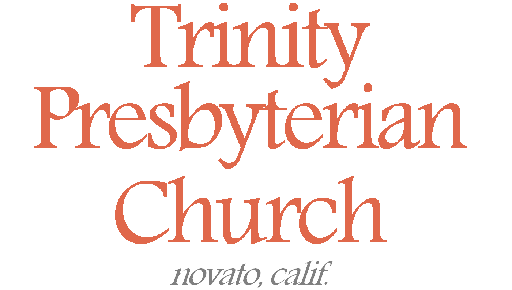 W. Reid Hankins during the Morning Worship Service at Trinity Presbyterian Church (OPC) on 9/25/2016 in Novato, CA. As a Christian living in the United States today there is a growing uncertainty about the future of our freedoms in this country. Historically we have had much freedom in our country to do the work of the church. Though in most ways we still have that same freedom, there are growing concerns that we are losing many of those freedoms. The politics of the day can cause Christians to either become alarmed, or to get upset, or have some other strong emotional response. Different Christians might respond to such concerns in different ways. But there is one way we ought to all respond. It’s what’s told to us today in verses 1 and 2. We ought to be praying for our civil government. We ought to be praying for the leaders in civil government. In light of our desires to see the gospel go forward, we ought to pray for the leaders of this nation. And that’s what we’ll be focusing on in today’s passage. Last week we looked at this same passage and saw that it was about God’s call for us to pray for lost. But today, we are going to look at this passage again, but this time focusing in on verse 2. And I believe verse 2 is a bit of a parenthetical note. But I believe the parenthetical note is about this topic of praying for the government with our evangelistic goals in mind. You see in the context of Paul calling us to pray for unbelievers and their salvation, he tells us to be praying for kings and other authorities. We are to pray for these rulers that they would provide a peaceful environment for us to live in. But in the context of this passage, it seems that we are praying for this peaceful environment, not only that we can live our lives, but so that we can ultimately carry out our evangelistic efforts as the church. Because God desires men of all the nations to be saved and to come to the knowledge of the truth. And so that’s how verse 2 seems to be a parenthetical note for the larger passage. Verse 2 becomes a bit of a means to an end. We pray that the civil government would provide us a suitable environment so that we can not only work for our daily bread, but so that we can also be about the work of the church, including evangelism. So with that introduction, I’d like us to begin by thinking in general of the value of praying for the civil magistrate. We are commanded here to pray for those leaders in our civil governments. This command to pray also fits nicely with the other passages in Scripture that call for us to honor government leaders; that is one way to honor them – to pray for them! It would be helpful to point out the obvious. These leaders are not necessarily Christian. In fact, in the time when this was written, the Roman emperor was certainly not a Christian, and we have no reason to suspect that very many of the other civil authorities were Christian either. And so like last week, we are again talking about praying largely for outsiders to the faith. And yet what is interesting here, in verse 2, Paul’s concern for praying for these rulers is not first about their conversion. Certainly in the larger context he is concerned for their salvation. But in verse 2 the request is more general than that. When I hear this, I think of some interesting Old Testament precedence here. In Jeremiah 29:7, God tells the people of God that when they go into exile, they are to seek the welfare of the city to where God brings them. They are commanded to pray to the LORD on its behalf. God says that in its welfare, they would find welfare. Similarly, we see during the time of the exile, when the Jews first are allowed to start returning to Jerusalem to rebuild it, that the Jewish priests begin offering sacrifices and prayers to God for the king and his sons. This is the pagan Persian king. You can find that in Ezra 6:9. And so I love the idea there in the Old Testament. There you have these Israelites who are essentially a part of two kingdoms. Ultimately, they are united as God’s people, and belong to a kingdom that one day would come in glory. That is where their allegiance ultimately lies. But they also were a part of these pagan kingdoms during the exile, part of Babylon and later Persia. Since they were going to be living in those kingdoms for a while, God was telling them to settle down there and work for the good of those kingdoms. They should even pray to that end. Why? It’s because of what God said there in Jeremiah: “in its welfare you will find your welfare.” And so in this Old Testament time of exile, God’s people prayed for the pagan kings and their government, and even offered offerings to God for those kings. And now under the new covenant, it still makes sense for us to be praying for the earthly authorities. Whether they are Christian or not, we pray for their wellbeing and for the welfare of the nation that they are leading and in which we live. We as Christians are also now a part of two kingdoms. As Christians we are citizens of Christ’s kingdom, and that’s where our citizenship ultimately lies. We look forward to the day when that kingdom will come in glory. But that means right now we also find ourselves under the jurisdiction of various earthly kingdoms and governments. This passage as well as this Old Testament backdrop reminds us that it is in our best interest to be praying for the good of the leaders of the earthly kingdoms of which we find ourselves a part. To further drive home the application from this first point, let me ask if this is your first instinct when things are not going well in our country? When the legal tide seems to be turning more and more against Christians, do we find ourselves praying for our civil authorities? Or are we more inclined to start grumbling and complaining about them? Do we spend lots of time petitioning these leaders via emails or letter, but no time in petitioning our heavenly father for them? In a similar way, what is our attitude toward these earthly leaders? Do we find ourselves, maybe for good reason, jaded, cynical, pessimistic, or maybe depressed, about these leaders? Well then, pray for them! Pray that God’s common grace would help them in their role as a leader. And certainly pray that they would know God’s saving grace in Jesus Christ. And so that’s a little about praying for these leaders in general. Next, I would like us to focus in on the specific prayer request for them given in verse 2. Paul wants us to pray for these earthly rulers in such a way that it would result in us being able to lead a quiet and peaceable life. The implication here is that we are to be praying that these civil authorities would govern in such a way that they would be fostering a good environment for us and others to live in. The description of this environment is described according to our pew Bibles as “quiet” and “peaceable”. Looking up these Greek words, they are both very close synonyms for “quiet”. The NASB translates them as “tranquil” and “quiet” which I especially like. The idea here is that you can live without the noise of turmoil; without “drama.” In other words, it will be a place where a Christian will not face persecution from government authorities. Similarly, it will be a place where Christians are event protected by the government from others who want to persecute them for being a Christian. I think of the book of Acts. Remember how sometimes Paul was saved by a mob of angry people by the Roman government. This actually happened at Ephesus in Acts 19, which remember is the context for this letter of 1 Timothy; that’s where Timothy is ministering at as Paul write this letter to him. So, Acts 19 is some direct background to this passage today in terms of this topic. So, remember Acts 19. There a silversmith who manufactured idols named Demetrius got upset with Paul. Demetrius was upset because he thought Paul was bad for business. Paul was going around telling people that idols weren’t real gods, and so Demetrius was afraid that would put him out of business. So, Demetrius stirred up a group of Ephesians about this. A big uproar broke out in the city, and the disciples were afraid for Paul’s life. But guess who intervened? The town clerk, who was a pagan government official. In other words, this local government official gets up and tells the crowd that they need to quiet down lest the higher Roman authorities come and then they will really get in trouble. The town clerk says that if they had a real problem with someone, they should handle it an orderly way through the courts. So, there is a great example, in Ephesus, of the very principle Paul is talking about. In that case, a secular government official turned over a disorderly gathering directed against the Christians and instead promoted a quiet and peaceable environment. This protected the Christians and allowed them to continue their gospel ministry, not to mention their everyday lives. Paul is saying we need to be praying for this kind of environment. Especially if we want to be able to be telling the lost about Jesus, we need to pray for that kind of a peaceful, quiet, environment. I think of the phrase and concept of Pax Romana. That refers to the time approximately from 27 BC to 180 AD where the Roman empire enjoyed a long period of relative peacefulness. Now, yes, during that time, Christians definitely faced some persecution from both the government and the people at times. Nonetheless, there was a lot of time where there wasn’t too much turmoil for Christians. They made use of that in spreading the gospel throughout the Roman empire. Providentially, it was a good time to start the New Testament church! A peaceful environment is generally a good thing for Christians and the church. And so this peace is a good thing and we should seek it in prayer. But as a side note of application, we should remember that sometimes this kind of peace can also breed complacency. I suspect that has become an issue today. Overall, Christians have enjoyed such long standing peace in our country that we’ve maybe begun to take for granted the peace and freedom we have. But I hope this passage reminds us that this kind of peace and quiet is a thing to treasure and make use of. I think this is an especially timely message now that we see some of the peace and quiet starting to slip away from us in our nation. Let us then become renewed not only in praying for it, but then making use of it. The third point I’d like to make is to see how verse 2 says we should be conducting ourselves in such a peaceful and quiet environment. It says we should conduct ourselves in godliness and reverence. This is an important idea. And if you look carefully, Paul is basically saying that this too is something we should be praying about as well. Should we find ourselves in a social environment of peace and quiet, we should look to live in godliness and reverence. Let’s talk about each of those. Godliness. This word thinks about our conduct in terms of our religion. It’s saying that we act the way our religion says we should be acting. That especially includes all the religious devotion that goes along with that. In other words, not only does it mean that we live ethical lives, but that we do the acts of worship that Christians do, such as pray, read our Bibles, go to church, partake of the sacraments, give offerings to God, meditate on the Scriptures, etc. Another word for this is religious. I know that some Christians today cringe at that word, but it is a Biblical notion. We should live a godly, pious, religious life in whatever environment we find ourselves in. And then it says we should live in reverence. Let me clarify because I think this word is lost in translation here. This word is the idea of living in such a way as to command reverence or respect from others. It’s saying that you are living a commendable and dignified life. It means that others look at you and say, that guy is a great upstanding citizen. So let’s use the translation “dignified” for this second word. To be dignified, means it is not easy for others to find fault with you, but rather people could see you as a role model for others of how to conduct yourself in society. And so I love these two words together. The first word is very much a religious term. The second one is much less so. But they are a good complement. From both a religious and even a secular perspective, live so you would be commended. If you remember me talking last week about insiders and outsiders to the church, think of living in such a way that both insiders and outsiders look highly upon you. Hopefully this too helps the evangelism. To be dignified is something an outsider can relate to, and hopefully the outsider will also see your godliness and aspire to have that himself. May God see fit to use that as another way to complement our evangelism. Unfortunately, the Bible has had to remind us of the opposite. I’m thinking of how the book of 1 Peter talks about that outsiders, including the government, sometimes have had to deal with Christians that are not acting godly or dignified. 1 Peter 2:19-20 describes this. It says “…this is a gracious thing, when, mindful of God, one endures sorrows while suffering unjustly. For what credit is it if, when you sin and are beaten for it, you endure?” Peter has this same thing in mind when he says later in 1 Peter 3:16 “…it is better to suffer for doing good, if that should be God’s will, than for doing evil.” And so this is a challenge. It’s possible to face trouble from the government and mistakenly think it’s because you are a Christian. But it might actually be because you are not living a dignified life as a Christian. I see this a lot on social media, for example. Too often I see Christians who are loudly advocating for biblical truth, but the way they are going about it is not dignified. They are offensive in their personality, rude, unkind, and not charitable. And then when non-Christians speak ill of them, they think they are a martyr. Brothers and sisters, the gospel has enough offense in itself. Don’t add your own sinful offenses when you are presenting it. Otherwise, when a loud uproar shatters the peaceful and quiet environment that you were in, don’t blame outsiders, blame yourself. And realize that this struggle is not something that happens just on the Internet. It is a pitfall that can happen in any conversation or interaction you have with an unbeliever. What do you do if you find yourself struggling in this area? Well, there are several things you can do, but this passage highlights one of them. You can pray. Pray not just for the kings and rulers to provide a quiet and peaceable environment. But pray that you would live godly and dignified in that environment. The good news is that we have a God who wants us to pray such prayers. We have a heavenly father who wants to give us more grace. At the heart of the gospel is the amazing love of God for us who cares that we are not only forgiven of our sins, but that we are being sanctified. As we wrestle with our own sinfulness today in how we can unnecessarily offend unbelievers when we want to share Christ with them, remember the grace of God. Remember the grace God gives to not only forgive us, but also to grow us. Pray to that end. And in closing, brothers and sisters, that is what we want the unbelieving world around us to know about as well. That’s what this passage is ultimately about. It’s about God’s heart for us to bring the gospel to the nations. And so we are commanded to pray about that. And in service to that end, we are to pray for our civil governments. Pray they would provide us a peaceful environment to live in. Pray that we would live godly and dignified lives in that environment. Pray for the lost around us. And then go and tell them about Jesus. Seek to save as many as you can from this Babylon of an existence that we find ourselves in. Let us go to prayer about this right now. Amen.